A dramatic late equaliser from Kabelo Seakanyeng for Botswana saw them move closer to a quarter-final place as they held Malawi 1-1 in Group B at the COSAFA Cup in Polokwane after Angola had earlier played their way back into contention. 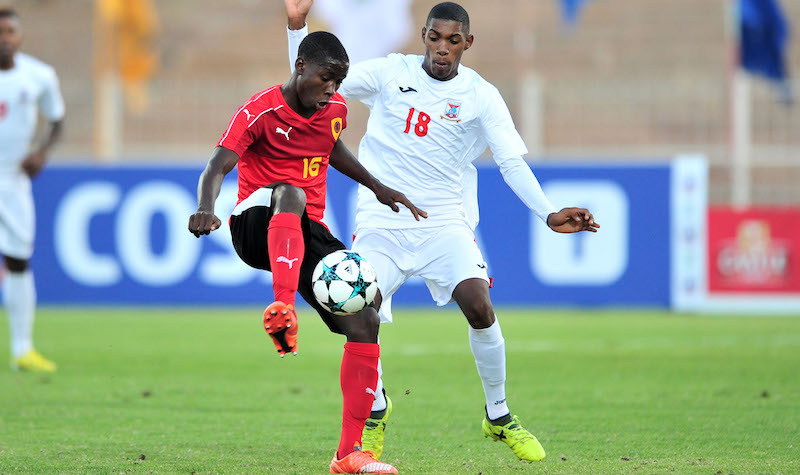 Angola edged Mauritius 1-0 with a panicked own goal from Emmanuel Vincent proving decisive while Malawi were three minutes from snapping an eight-game winless streak before conceding late and finishing 1-1 with Botswana in the two matches played at the Old Peter Mokaba Stadium. It means Botswana will go into the last round on Friday one point ahead of Angola and Mauritius but Malawi are eliminated. The group winner plays in the quarter-final against holders Zimbabwe on Sunday. Angola dominated Mauritius throughout their match, which opened the day’s proceedings, twice hitting the woodwork and also slipping in front of goal when they had easy opportunity to score. The 64th minute goal came five minutes after Angola coach Srdan Vasiljevic had been sent to the stands for foul language directed a the fourth official. Malawi, who had not won an international for a year, got off to the perfect start as 20-year-old fullback Precious Sambani opened the score with a rasping shot as early as the sixth minute. Group A will be concluded on Thursday with Madagascar in pole position to go through and meet hosts South Africa in the quarter-final on Sunday. They must, however, beat the Comoros Islands to make sure, otherwise the door is open for either Mozambique or the Seychelles to sneak through from the other game. Both matches kick off simultaneously at 17h30 (15h30 GMT) and are being played in stadium a few hundred metres away. 1 goal – Kaporal (Angola), Onkabetse Makgantai (Botswana), Mohamed M’changama (Comoros Islands), Andriamirado Andrianarimanana, Tokifandresena Andriamanjato, Joatombo Bourahim (all Madagascar), Precious Sambani (Malawi) Damien Balisson (Mauritius), Jeitoso (Mozambique), Leeroy Coralie, Eric Miellie (both Seychelles).